The city of Istanbul, which resides on both the continents of Europe and Asia, is among the many great cities that displays its architecture and culture as a study of contrasts. Structures with ornate ancient motifs appear beside modern buildings. Exquisite Ottoman details juxtapose European embellishments. 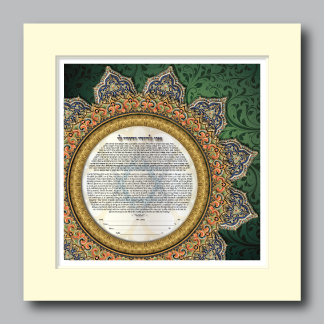 This is the inspiration for the “Modern Ottoman” ketubah series. Amid this bustling city lies a small area with the few remaining synagogues. 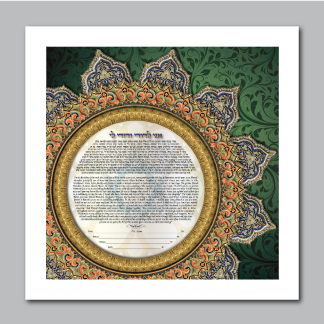 The text area of the ketubah, where sacred and divine words of commitment appear, pays homage to these Jewish institutions. 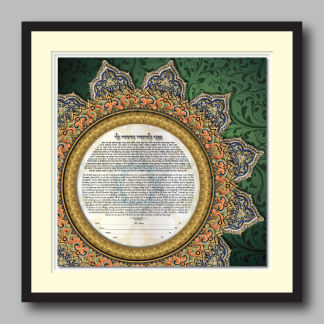 Within the central golden frame, a subtle pattern featuring a Mogan David, or Star of David, appears at its heart. This design emulates the beautiful stained glass rose window from Istanbul’s Neve Shalom synagogue. Surrounding the inner golden frame are layers of intricate multi-colored motifs reminiscent of designs created for the Ottoman sultans. 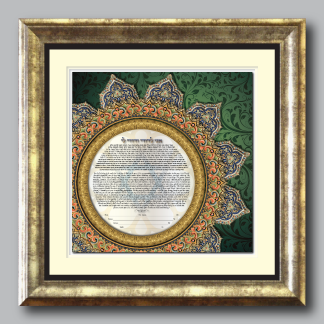 The deep emerald green background balances the asymmetrical composition, and the borderless layout adds a modern feel to this ketubah design. 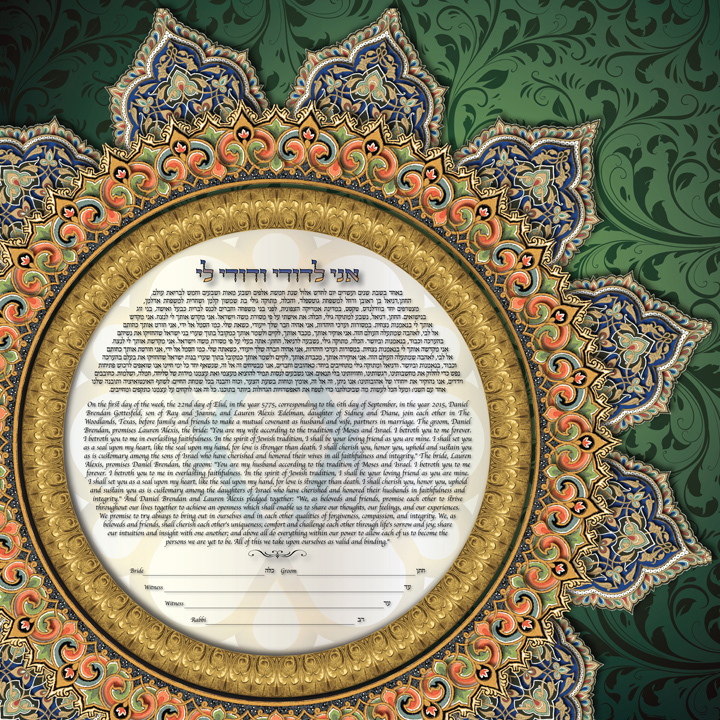 Finally, the sacred words of commitment by the betrothed couple seal them together for a life of partnership and love.